Roger did have a link to one website on his Lakeview site (see attached). Seems the offensive and despicable message on this website suited Roger's taste. Makes sense since Roger supports and belongs to this Chico-based club. As if the message that "YOU DO NOT HAVE TO BELONG TO THE USHPA, DONATE TO ANY CLUB, HAVE A HELMET STICKER, SIGN A WAIVER, HAVE A MENTOR, HAVE A RATING, OR WEAR A HELMET TO FLY AT HAT CREEK RIM. ANY RULES YOU MAY HAVE READ ABOUT ONLY APPLY TO THE THE MEMBERS OF THE USE PERMIT HOLDERS BLUB." isn't irresponsible enough at an insured flying site operating under a Special Use Permit, they go on to tell the flying community they are the keepers of the site. Well, that may not be the truth. Mark Webber must be proud of his work. The illegitimate, anonymous attacks should have been removed, as I asked at the time. God bless Sara. I am so sorry. flystraw wrote: Bob I get the feeling that you do not approve of me making a website or starting a topic on your site to advertise it. I apologize and will refrain from further posting. I don't object to people making web sites or posting links to those sites. But if you wanted to help Sara (as you claim), then why not post a link to her site? You used her club forum to post a link to your own site, and yet you refused to post a link to her site in return. Actions always speak louder than words. In that whole long post - on Sara's own club forum - you offered surprisingly little in the way of help to overcome the people who were persecuting her. In fact, as I mentioned, most of your post was all about you. Roger, it's not my goal to alienate you, but Sara needed support from her hang gliding friends to get a club started. She thought you were one of those friends and yet you stood by and watched her fail. You claim that you couldn't drive "68 miles one way to Lakeview to join a club, not quite yet existing". First of all, the club was existing. Clubs don't need to be USHPA Chapters to be clubs. Second, I regularly belong to the Sylmar HGA and the Crestline Soaring Association - both more than 68 miles away. I have also belonged to the Tennessee Tree Toppers (3000 miles away) and many other clubs. I do that to SUPPORT them and their sites ... whether I fly there regularly or not. And all those clubs charge real money to join. Sara's club was free to help get it off the ground. But you still couldn't see your way clear to joining it? And yet 68 miles each direction didn't stop you from building a web site called "lakeviewhanggliding.org" where you claimed to be presenting all the relevant information on Lakeview flying ... with the notable exception of any links to the one club that was being started in Lakeview. I'm sorry Roger, but none of it rings true. When I talked with Sara about finding 5 members to become a USHPA Chapter she told me she could count on you and Derk. That would have made 5. You turned your back on her when she needed you. I suspect you were trying to walk a political fence between Sara and Mark and others, but sitting on that fence kept you from stepping up to help Sara when she was counting on you. We all make mistakes. Warren has suggested that I should have deleted those nasty posts rather than replying to them. He might have been right. Sara told me that you and Derk were her friends and I was counting on you to step in and combat those posts to publicly support Sara. I felt that confronting them and defeating them would be better for Sara than sweeping them under the carpet. But again, that depended on you - a supposed friend - to do your part. You did not. With regard to Derk, I do know that he really agonized over what was happening to Sara. He and I spent many long phone calls and email messages trying to find out who was behind it and trying to come up with solutions to resolve it. If you read Derk's posts, they were much more supportive of Sara than your own short paragraph. I don't know how much influence you held over Derk when it came to creating the lakeviewhanggliding.org site and intentionally snubbing Sara. Only you and Derk will know that. But from my many discussions with Derk, I suspect that was more your preference than his. Roger will most likely not respond to your pressing questions - or, as is his nature, blame others. Roger contributed 4 posts in 3 years ... and at least one of them was an advertisement for a club to undermine the Lakeview Hawks. So if he decides to boycott our forum ... it won't be much of a loss. There is a lot of evil in this world, and what was done to Sara in Lakeview was evil. It reminds me - sadly - that people have not changed much in the few hundred years since the Salem witch trials. All that evil needs to exist is for good men and women to do nothing. One last reply to your suspicions and accusations. bobk wrote: In that whole long post - on Sara's own club forum - you offered surprisingly little in the way of help to overcome the people who were persecuting her. In fact, as I mentioned, most of your post was all about you. Guilty as charged. Yes it was a rambling self aggrandizing post mainly about my dashing flying exploits. bobk wrote: I'm sorry Roger, but none of it rings true. Well OK If you don't think it rings true it must be so. bobk wrote: When I talked with Sara about finding 5 members to become a USHPA Chapter she told me she could count on you and Derk. That would have made 5. You turned your back on her when she needed you. I suspect you were trying to walk a political fence between Sara and Mark and others, but sitting on that fence kept you from stepping up to help Sara when she was counting on you. You can suspect all you like. Walking on a political fence? Eh really? Sara was counting on me? What about about counting on the founder/instigator of this new ”hawks” club the one that started it around a fire one night, but no she was counting on me. Maybe you should have helped Sara check out who was interested in joining a Lakeview Hawks club. Why did you with your websites national outreach not help Sara. In my mind you are the one that let Sara down by raising her expectations about a club without being able to deliver.She was counting on you the clubs founder. bobk wrote: We all make mistakes. Warren has suggested that I should have deleted those nasty posts rather than replying to them. He might have been right. Sara told me that you and Derk were her friends and I was counting on you to step in and combat those posts to publicly support Sara. I felt that confronting them and defeating them would be better for Sara than sweeping them under the carpet. But again, that depended on you - a supposed friend - to do your part. You did not. I did not think answering or conversing with obviously fictitious people was going to be any help to Sara. Alternately it was quite highly likely that I would be conversing with one individual behind all those personalities. So you were counting on me and I let Sara down?? I just love your logic. bobk wrote: I don't know how much influence you held over Derk when it came to creating the lakeviewhanggliding.org site and intentionally snubbing Sara. Only you and Derk will know that. But from my many discussions with Derk, I suspect that was more your preference than his. You suspect a lot, and your accusation that creating lakeviewhanggliding.org was somehow “intentionally snubbing” Sara is so far from the actual reality , but you are of course welcome to your own suspicions and conclusions. I hold influence over Derk?? Really now you are surmising about who has influence over who as well!! Maybe its a conspiracy?? Thank Phil for his concern and his psychoanalysis about my nature. I am sure he had a lot of other interesting tidbits to tell as well. You guys should get on great together! If you have some really pressing questions please do list them simply and I will try to answer them if possible. Did I mention I do not often contribute to HG forums? …..and yes a shameless advertisement to undermine the Lakeview Hawks!!! Actually boycott would be the incorrect word to use. If I do not post here again it will not be as a punishment or protest, a snub, a shun, turning my back, an embargo or a sanction. It will be simply my choice. As evil thoughtless and heartless as that may seem to you. I am truly sorry I opened my keyboard to let folks know about "Poetic Justice" and your friend and club mates demise 1 and a 1/2 years ago. I had thought being club member and friend of Saras you would have already known. No benefits have ever been realized from the Lakeview Hawks in bringing pilots together, in fact it has had exactly the opposite effect. In hindsight now, maybe starting a club around a fire one night while visiting a town some 750 miles from home where “One young woman thinks it is a great idea and you did not hear any real objections around the fire” was obviously not in the future best interests of Sara, despite your desire to open up “hawks” clubs wherever you could. The perfect storm brewed in Lakeview and we now know the rest of the story. If you want to believe I have influence over people and suspect that chambers of commerce pressure me, that I shunned, snubbed, undermined, influenced, you can believe those things. Maybe its a conspiracy?? Bob it is funny that we have never actually met but you sure seem to have some very good suspicions about my actions and motives. You are welcome to them, they are yours. You can share emails with Phil about my nature how I blame others and let suicidal people down. I hope you enjoy yourselves. Please Bob do try and start any new Hawks clubs responsibly and try not to start one and then expect other people to step in to assist and fix stuff for you. I feel sufficiently alienated now, I shall breathlessly await further dialogue about your suspicions and my intentions and nature. I have however severely hit my forum defense budget ceiling and will endeavor to refrain from any further dialogue here. I feel "Lakeview Hawks'ed" out. Regarding the Lakeview Hawks, I put myself in the NEUTRAL category. - While Sara was an enthusiastic person (clearly!) she was also new to hang gliding. Apparently she was naive about the established Lakeveiw area pilots' attitudes toward a new (or even any) club. - Sara and Bob K's enthusiastic personalities complimented each other and, in the process, the Lakeview Hawks was created/formed. Unfortunately, Sara and Bob K were the only members. - Prominent local pilot(s) in the Lakeview area seriously OBJECTED to the creation of the Lakeview Hawks. Being the only local member of the Lakeview Hawks, Sara felt their "wrath"(?). - Sara, very unfortunately, is no longer with us. That leaves the Lakeview Hawks with no(?) local members (correct me if I'm wrong). I think that also means that Bob K is the single member of the club (again, please correct me if I am wrong). - Granting the accuracy of the above, I've never heard of a "club" with only one member. Such a person would usually just be called "That pilot who sometimes visits Lakeview" - as opposed to "a hang gliding club member". 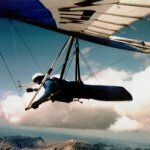 For whatever collection of reasons, the Lakeview Hawks became a negative - not positive - connected with hang gliding activities in Lakeview, Oregon. Essentially, at this point in time, it is a non existent club. However, its existence on this site as a Chapter of the US Hawks causes continued inflammation. For these reasons I would suggest, Bob, (however hard it may be) that the Lakeview Hawks Chapter of the US Hawks be disbanded. The contents of this forum should be archived elsewhere on the site. I make my suggestion because I do not believe it has EVER been the US Hawks policy to intentionally create even mild conflict at an otherwise free (not commercially controlled-abused) flying site. With Sara gone, no possible positive future progress can be made in Lakeview via the Hawks Club. In the past, local conflict over the Lakeview Hawks may have been mistakenly perceived and/or amplified and then even seen as a detriment to the local flying scene. In my view, the only way to begin any possible healing is to disband the Lakeview Hawks. Then allow established Lakeview pilots (if they so desire) to make their own request (at some point in the future?) to become a US Hawks chapter. I recognize the positive and ambitious ideals and goals that both Bob K and Sara envisioned for Lakeview. But sometimes the community dynamic just isn't right. Yeah, now is the time to start deleting anything connected to Sara. That would surely put the Hawks on the record as a true alternative to U$hPA. Why didn't you (anyone) speak up when Sara was being attacked by Mark Webber's myriad psychopathic personalities? Why didn't Mark Webber, inform anyone when his dastardly deed succeeded? wingspan33 wrote: Regarding the Lakeview Hawks, I put myself in the NEUTRAL category. Bob wasn’t trying to plant his flag in Lakeview and steal the power from any local empire builder. It has always amazed me the depth that some will sink to when they perceive someone as threat to their importance when that isn’t what was going on. Every job, church, school, government you name it and you will find the climbing political power monger. I never said anything about ". . . deleting anything connected with Sara." I suggested archiving the Lakeview Hawks forum somewhere on this site. My reasoning involved an "outside" view that the only attack/flamewar type content on this site appears on this Club's forum. Adding some more at this time, . . . I just had a talk with Bob K and although Sara is gone he is not the only remaining Lakeview Hawk member. I understand the Dave Beardsley is also a member. Given that additional information my suggestions are meaningless. Bob and Dave, as club members, should make their own decisions. Bob also filled me in on a number of things I did not know. In doing some investigation on my own, it appears as if the most serious negativity (at least at one time) was potentially generated by only one person. That person may have employed a number of "sock puppets" in a campaign of (criminal) harassment against Sara. That is beyond utterly despicable! Free wrote: Yeah, now is the time to start deleting anything connected to Sara. Here's just a little insight into the Roger Jackson (stawfly) I know. He searched and found our club's corporation on the web and left extremely negative comments (see attached). He also went to the HG.org and deleted our link to site information for Hat Creek Rim (see attached) and replaced it with his own. BTW, this was during the time we had the Special Use Permit and provided site insurance there. IMHO, the guy has an overinflated self-worth and a hatred for us and anyone who stands in his way. I don't want to muddy up this forum with more Jackson files (there are many) but felt the members here should know a little more about the real Roger Jackson (much different than the wonderful person he describes himself to be). If you want to archive/obscure evidence of attacks there's a better collection in the New User's Forum. bobk wrote: FOR THE RECORD . . .
are all just one single person with an obvious grudge against Sara and possibly Kayte. I have to give credit to Warren ("Free") for being the first to spot all of these as likely aliases for one single person. Good Job Free!!! So Sara and Kayte, please ignore this one person with a grudge, and please carry on with your good work. I support both of you even more after seeing what you're up against with these filthy posts. bobk wrote: I think they should be retained to show the kind of people who are opposing Sara and the Lakeview Hawks. Sometimes you can learn a lot about a person by looking at those who oppose them!!! Many people will not read through to understand all that is going on here. We may get it because we have been in a similar position but too many will just skim over what has been written and take what they want out of it back to lala land where repurcussions may follow Sara and her mother for a long long time. Bob, you give people too much credit to read between the lines enough to understand what is really going on here. Everyone doesn't have your perception and understanding. Sara probably doesn't have your, (or my) thick skin. She hasn't been Ranger trained to be bullet proof from vicious attacks like this. We don't know who this person is that is attacking under various personas and this fake person is not subject to any repurcussions in the community because they are fake personas. Sara is real and wants to become a part of the community. I'll guarantee you that she would rather not depend on the reading comprehension and understanding of everyone that may come across this crap to understand that it is just a bunch of crap. Women are kinda sensitive about this kinda stuff.. Something like this could even drive a newer member away from the hang gliding community in the long run, and for what gain? The record could be noted that a filthy anonymous attack has occurred, and removed, from one twisted source that refused to identify themselves.. This would serve nearly the same purpose, IMO. I think this case is worthy of a exception to the 'leave it in the record' rule. So after talking to Bob and doing your own investigating you tell Free what he told Bob.